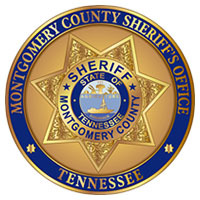 Clarksville, TN – The Montgomery County Sheriff’s Office (MCSO) would like to congratulate Law Enforcement Explorers Post 600 on their recent achievements. 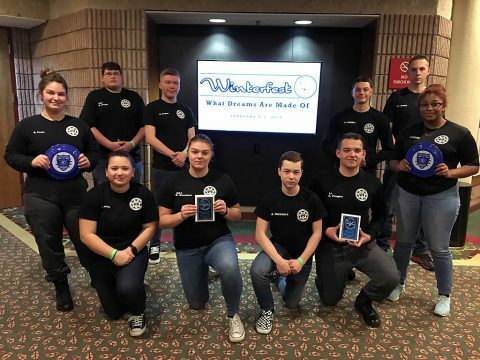 The Explorers earned two awards during their Annual Winterfest Conference and Competition. They placed third in Active Shooter Response and third in Bomb Threat Response. They also recently held a promotion and graduation ceremony for five members of the program. Lieutenant Brooke Lewis received her certificate for completing the Explorers Program. Sergeant Kasey Lucas received a certificate of participation. She is leaving the program to go into the United States Armed Forces. Sergeant Alden Vaughn was promoted to Lieutenant. Kearstyn Donahue and Braydon Fowler were promoted to Sergeant. The Law Enforcement Explorers Program provides men and women ages 14 to 20 an opportunity to learn about a career in law enforcement. The program is funded by donations and is part of Learning for Life, which is a division of the Boy Scouts of America. It focuses on career opportunities, leadership experience, character education, citizenship, and life skills. If you would like to support the Explorers please join them for a pancake breakfast fundraiser on Saturday, February 23rd, 2019 from 8:00am to 10:00am at Chili’s at 2127 Lowes Drive. Breakfast includes two pancakes, two slices of bacon, syrup, and choice tea, coffee, or fountain drink for only a $5.00! For more information on the Explorers or to purchase a ticket to the pancake breakfast contact SRO Jeff Campagna at 931.551.0573.